An unlimited number of photos can be made available for each registered article, so they are ready to be automatically uploaded to a website. 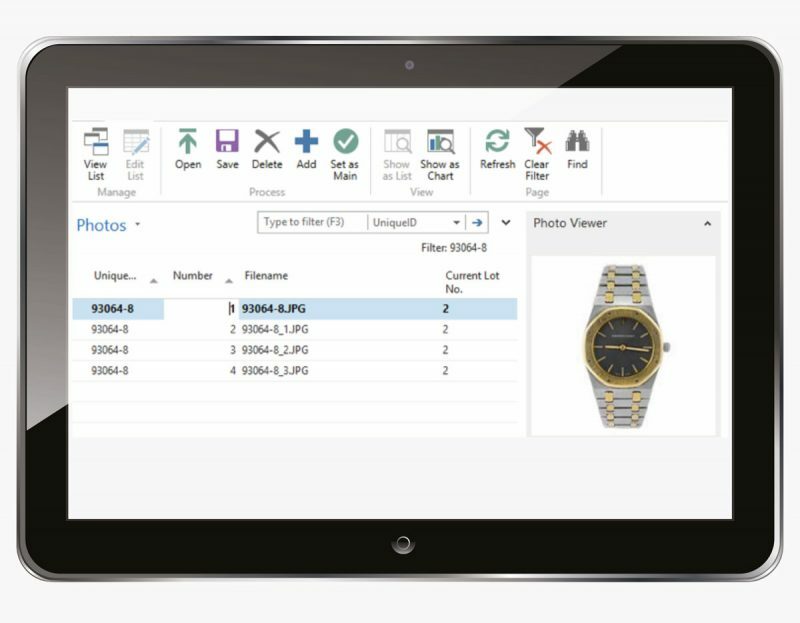 Time saving tools also give users the opportunity to easily rename and resize images within Evo-auction. At a ‘click of a button’ auction lots can be transferred from one auction to another together with related images. There’s no need to move images, no matter which auction the article is assigned to, the images will be matched by the unique article ID. To assist in quick identification of an article, all illustrations can be printed on pre-sale advice letter and post-sale advice letter as well as on a proof reading report.